Another guy whose being stalked by 27, eh? That happened to us for like a year (it's sort of stopped now). 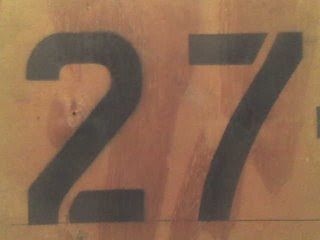 Anyway, I thought you'd like to know we're making a very small and very amatuer film called 27, and we used your image.